You are cordially invited to join us for this year’s Spring Haven Guild Meeting taking place at The Grand Manor. Last year we spent most of our efforts working through the impact of the the Family First Act legislation and determining our path forward from that. We hope to have a resolution in the next few months and will share the latest status and updates during the lunch. And in an effort to continue our community advocacy and education about this subject, we have invited guest speakers, Paula Leonardo and Karin Torsiello from Behavior Basics, Inc. They will present on the challenges faced by children who have been removed from their homes and become a part of the welfare system through no fault of their own. No one can really understand what they have gone through, but we can try and educate ourselves on how we can best help them through it. 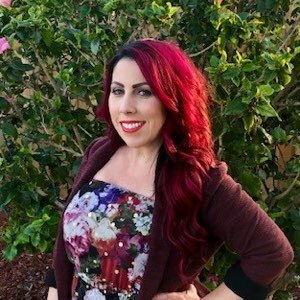 Karin Torsiello is a proud graduate of Florida Tech’s Applied Behavior Analysis program and is a Board Certified Behavior Analyst, child welfare advocate and entrepreneur. Karin is the President of Behavior Basics, Incorporated. Karin has previously worked as a Behavior Analyst Consultant and has served on the faculty of the University of South Florida for seven years as the Senior Behavior Analyst with the Behavior Analysis Services Program, in partnership with the Department of Children and Families. Out of graduate school Karin found her passion and true calling in child welfare and mental health. She has built her career in this area and has cultivated a team that specializes in behavior analysis treatment for children who are victims of abuse and neglect. In addition to Behavior Analysis Programs, Karin and her leadership team have developed and manage four parent education curricula designed to restore a parent’s protective capacities and strengthen their parenting skills repertoire to safely and effectively manage their children in the family home and significantly reduce recidivism for re-abuse. Behavior Basics partners with several community agencies to fight for Florida’s children and reduce child abuse and maltreatment. Karin has also co-authored and directed the parenting education series “The Secrets of Modern Parenting”. This DVD series has been sold worldwide and is used by many professionals and parents with success every day. Karin will continue to advocate for valuable ABA services for children in need and to supporting and propelling the science of ABA. 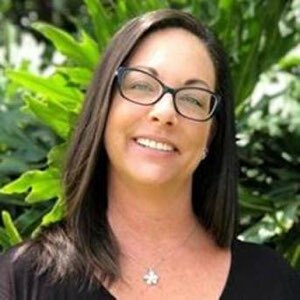 Vice President, Behavior Basics, Inc.
Paula Leonardo is a Board Certified Behavior Analyst and is the Vice President of Behavior Basics Incorporated, a behavioral sciences consulting firm based in Florida. Paula obtained her Master of Science Degree in Applied Behavior Analysis from Florida Institute of Technology in 2003. Paula is the acting Regional Director in Brevard County and serves as Director of Programs for our Parent Education Programs. Since 2001, Paula has served the community as a Behavior Analyst. Paula has a long history providing excellent services to families experiencing behavior issues with their children or foster children who were living with them. Paula has extensive experience working with children who suffer with mental health problems and/or developmental issues. Paula gained her practical experience by providing many years of in-home consultation services for caregivers. Behavior Basics Incorporated is a private ABA company providing services in Brevard, Treasure Coast, Okeechobee and Palm Beach County. The company was founded in 2004. Its three founding members were part of a state-wide project, The Behavior Analysis services Program, since 2000. In 2008, funding was cut statewide for this project that serviced foster children across Florida. Behavior Basics took this contract over on the Treasure Coast, Okeechobee and in Palm Beach to continue to serve these areas. The company expanded to Brevard in June of 2018 and continues to provide ABA therapy in all areas with great success reaching many children and families in need. Paula is also the co-author of “The Secrets of Modern Parenting” DVD series, which has helped people all around the world. She is involved with training college student working towards their master’s degree in applied behavior analysis. Paula is passionate about spreading the utility of Applied Behavior Analysis throughout child welfare and touching as many lives as possible.